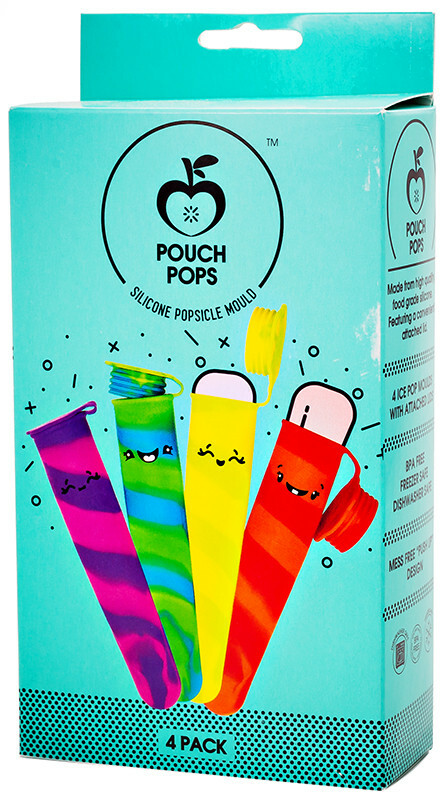 Keep summer fun but healthy with these reusable Pouch Love Pouch Pops. Fill them with your favourite homemade juice and smoothie blends and stash them in your freezer for summery days by the pool. Multi-coloured with a conveniently attached lid these pop moulds are designed for push perfect, mess-free munching! These are great. I make ice lollies for my toddler to help ease teething pain. They seal well and don't leak. I recommend these. Absolutely perfect for frozen treats. My kids (3 & 6) love these, although the 3 year old does struggle a little to get the ice lolly loose. I love that I don't have to use plastic ice lolly moulds anymore. 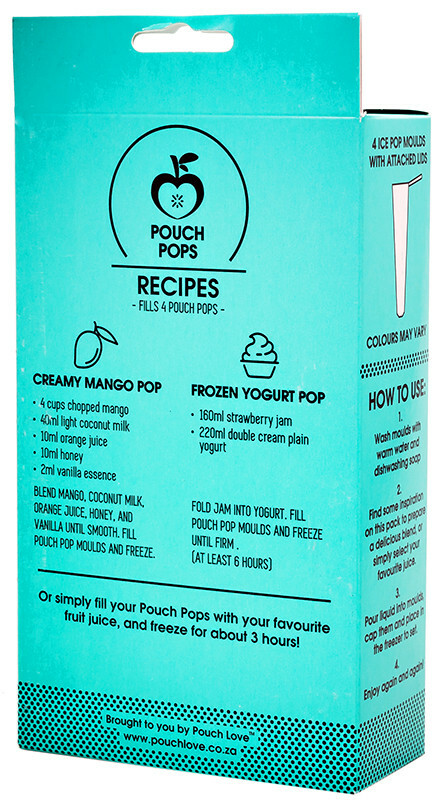 Great product - I put leftover milkshake in mine over the weekend for a treat during the week. I love that they take up less space in the freezer than my popsicle moulds. these are great for summer! These are amazing! I've just put more into my basket. They freeze quickly; easy to fill; the lids seal; they were bigger than I expected; and take up less freezer space than the traditional ice lolly makers. I love the bright, fun colours. I'm buying more for myself, and they'd make a fun gift.